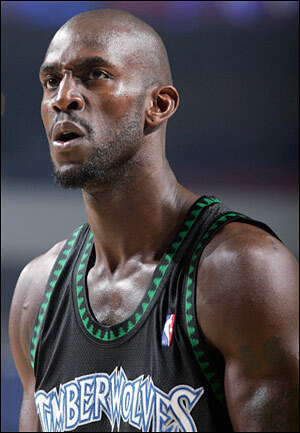 KG played like his prime years tonight, albeit in fewer minutes. I feel bad for the fans that only tuned in for the second half. After a couple competitive quarters of basketball that left the Wolves leading by 4 points, everything came unraveled for Rick Adelman’s team. Boston turned the halftime deficit into a 7-point lead after three. The third quarter was largely dominated by large Celtic power forward, Brandon Bass, who scored 10 points on 5-5 shooting in the period. The Wolves second unit, that played quite well in the first half, continued the struggles in the early fourth, seeing the Celtic lead extend to 9 points when Love and Pekovic came back in. Those subs didn’t help and the bleeding continued. Profusely. Boston’s lead ballooned to 15. In the first 6:08 of the final period the Wolves managed just 3 points, blending a toxic mix of bricked jumpers, botched layups, offensive fouls and turnovers, and above all else, missed free throws. Despite getting enough defensive stops to hold out a shred of hope through the 6-minute mark, the game was never again a close one. Will the Wolves Ever Beat Boston? Our Twolves play the Celtics tonight in Boston, my former home. I’ll be rooting for the Wolves, of course, but the Celtics are one of my favorite sideshows in the League, given not only that I lived in Boston for two years and followed the team closely, but also that they (still) have KG. Speaking of KG: Garnett’s role remains in dispute, but still, the Celtics have beaten the Wolves pretty much ever since we dealt KG to Boston. 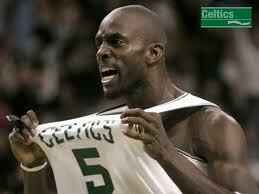 Is Sid crazy, or is Love better than KG was in his prime? Cast your vote below.